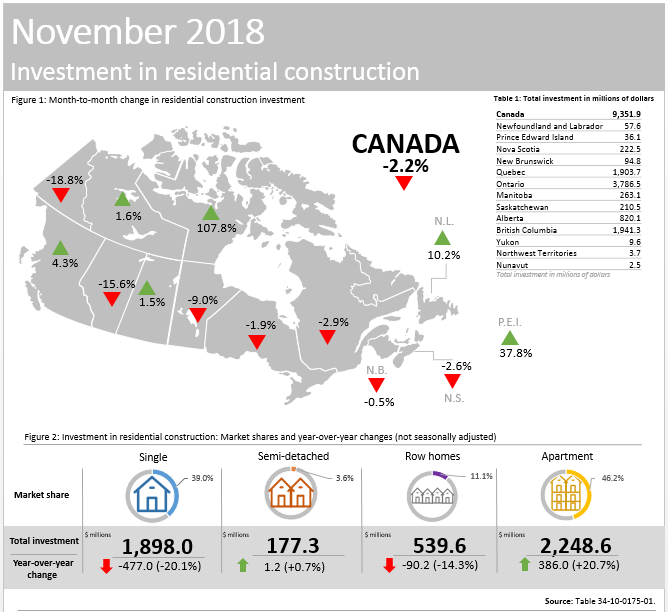 Total investment in building construction decreased 2.0% from October to $13.7 billion in November. 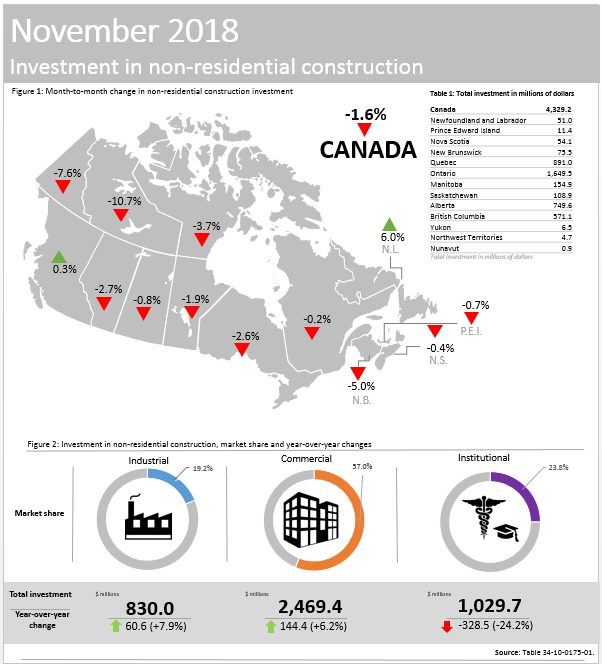 Both the residential (-2.2% to $9.4 billion) and non-residential (-1.6% to $4.3 billion) sectors declined. 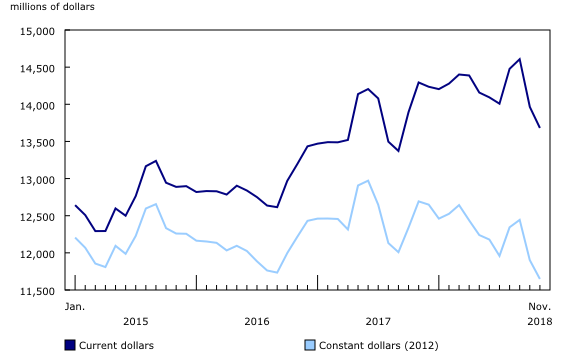 On a constant dollar basis (2012=100), investment in building construction decreased 2.1% to $11.6 billion. 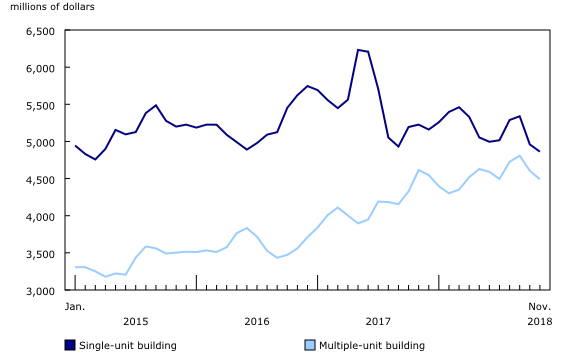 In the type of work series "conversions total," one or more residential dwelling units are created from an existing structure. Deconversions, garages and carports, as well as in-ground swimming pools are grouped together in the "other types of work" category. 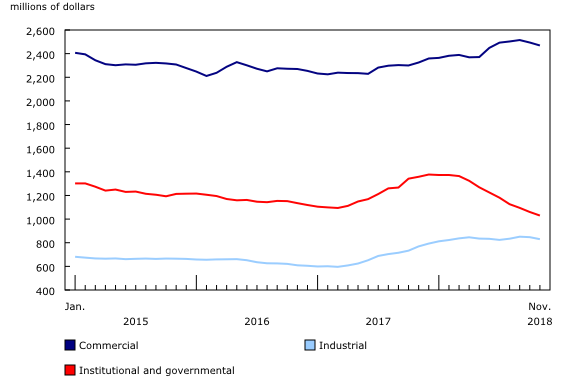 Data on investment on building construction for December 2018 will be released on February 21, 2019.